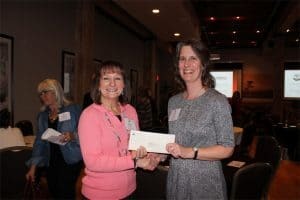 The Community Foundation of the New River Valley awards grants once each year. The below grant programs have different applicant requirements, eligibility criteria, and available funding levels. All grant programs, however, are managed through our Online Grants Portal system. Learn more about each grant program below and please take the time to visit each grant programs individual page to learn more about how to apply. Our Responsive Grantmaking acknowledges that those non-profits working directly with our community have their fingers on the pulse of community need, and the CFNRV is committed to supporting those non-profits for whatever emergent or ongoing challenges they encounter. This program awards grants within eight areas of interest. Responsive grants are awarded once a year. The online application will open in late May with a deadline in late July. Grants are available for both programmatic (up to $5,000 ) and operating support (up to $3,000). Learn more about our Responsive Grant program here. This is a non-traditional capacity-building program. The accelerator is meant for non-profit organizations interested in expanding capacity, scaling up, increasing their sustainability, testing a nonprofit program idea, re-examining a long-standing program, and/or transforming a program model. This accelerator experience includes a four-month program designed to advance the growth and impact of participating organizations through consulting, mentoring, and peer learning. This accelerator will provide the time, expertise and space necessary to reflect, change and act. This experience will be offered to 6-8 organizations in 2019. Learn more about the Nonprofit Accelerator opportunity here. Are you a donor wanting to request that a grant/s be made from your fund, outside of the competitive grants process to eligible nonprofit organization/s? Please complete and submit this Nonbinding Request Form to cfnrv@cfnrv.org. To ensure grants are awarded within the calendar year, submit the form by December 1, 2018.